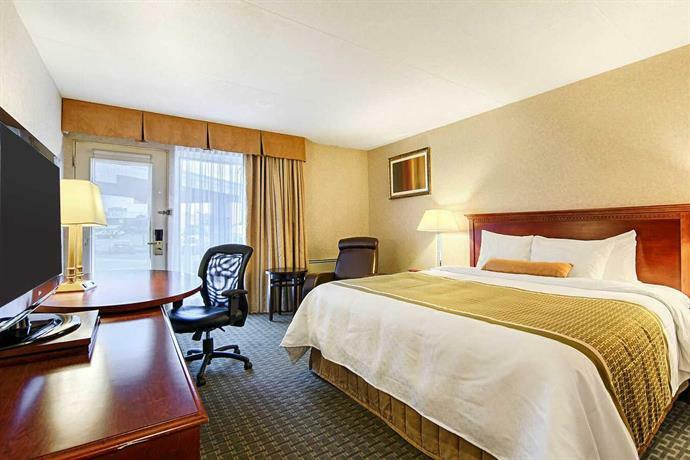 The Best Western Plus Brampton is located on the west side of Clark Boulevard between highway 410 and Rutherford Road South in Brampton, Ontario. 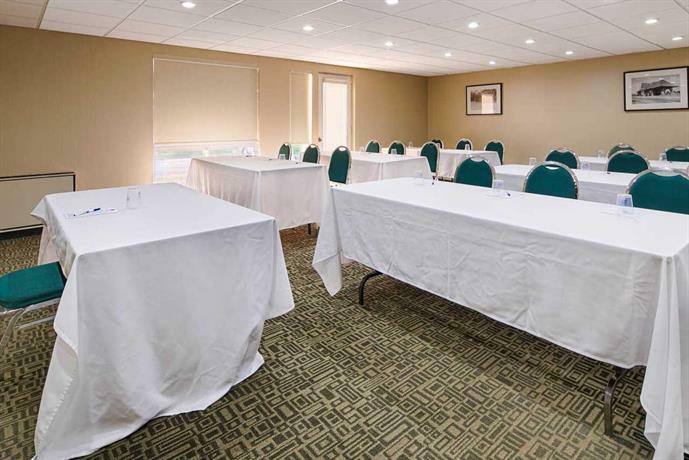 Facilities at the non-pet friendly hotel include meeting space, free parking, and a business centre. 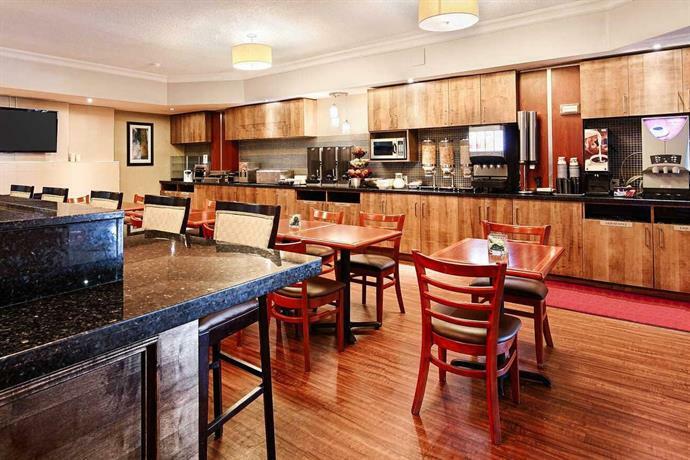 The hotel does not have a restaurant however there is a dining room at the hotel where free breakfast is served. Also, according to a Front Desk Agent that our staff spoke to there are numerous restaurants in the area surrounding the hotel. 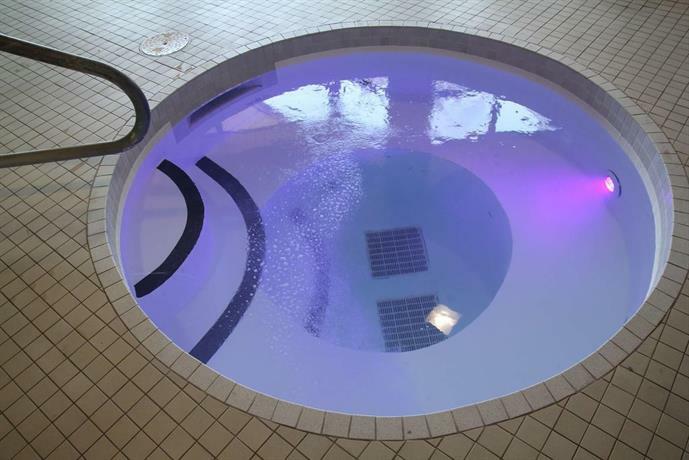 Leisure facilities at the property include an indoor heated pool, a hot tub, a steam room, a dry sauna, and a whirlpool. 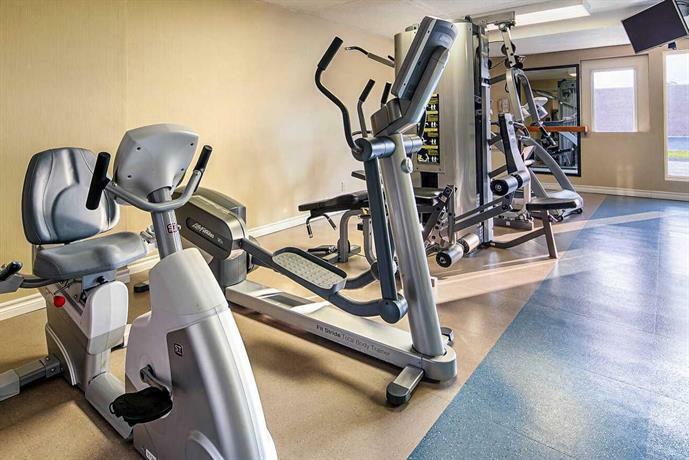 Additionally there is a fitness room that operates 24 hours per day and it includes two treadmills and an elliptical machine. The two-story hotel (no elevator) has 136 guest rooms and 127 of them are non-smoking. 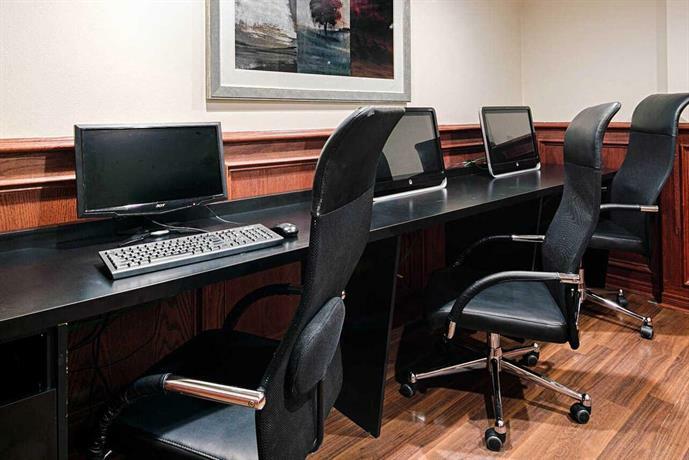 Room amenities include coffee makers, hair dryers, irons, ironing boards, air conditioning, and desks. 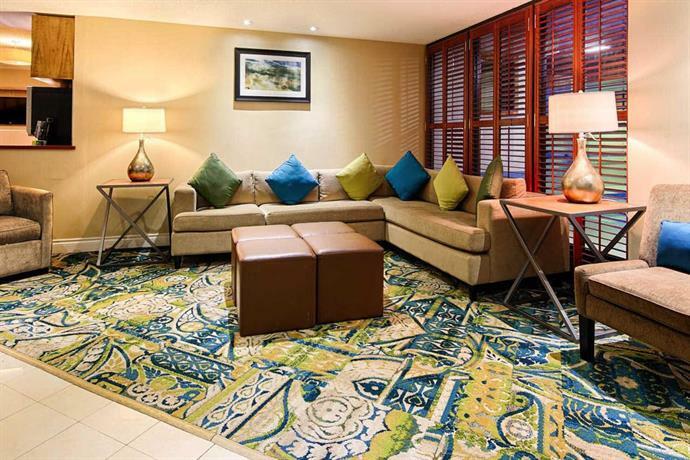 Additionally guest rooms offer refrigerators, free local calls, and free wireless Internet. Microwaves are not available in all rooms however there is a microwave in the hotel's lobby for guest usage. The Bramrose Square shopping centre is just 350m from the hotel and the Brampton GO Station is about 3.1km away (distances - Google Maps). Check in time at this hotel is at 3pm while check out time is at 11am. Verified with a Front Desk Agent: no restaurant at the hotel, no elevator, fridges in all rooms, and microwaves only in some rooms; also restaurants are near the hotel and a microwave is in the lobby. 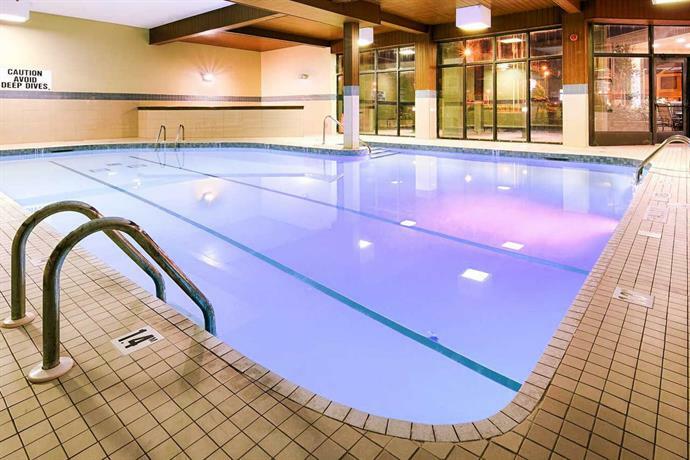 Guests that stayed at the Best Western Plus Brampton hotel were generally satisfied with the property. Guests often made positive statements about the hotel's location, the value that they received for the prices they paid, and the cleanliness/comfort of their rooms. Guests liked the location of the hotel for numerous reasons including highway accessibility, proximity to restaurants, and proximity to shopping. The hotel was described as being close to highway 410 with connections to other major highways in the area. Additionally many guests indicated that there was lots of "surrounding shopping and dining" and one guest said the hotel offered "easy access" to both a "mall and restaurants." Several guests felt that the hotel offered good value or good prices. For example one guest said that the hotel was a "great hotel for the price," an opinion that was common and echoed by many others. 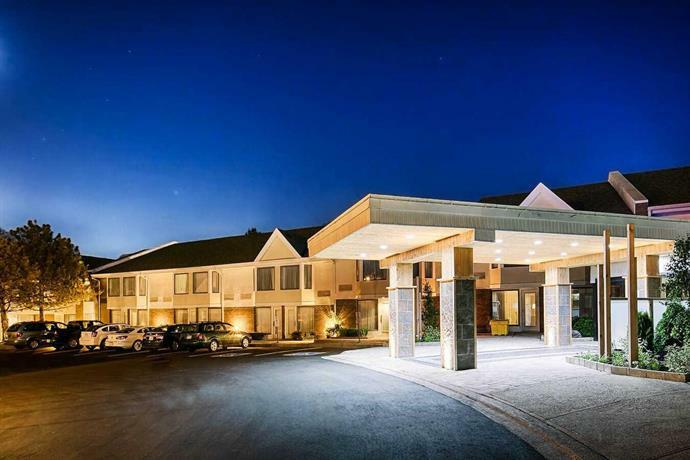 Another guest who seemed familiar with the area said that the Best Western Plus Brampton offered "excellent value" for the region. Several guests also felt that their guest rooms were clean and comfortable. One guest, for example, claimed to be a complainer when it came to hotel room dirtiness. This guest said that he/she aggressively looked for a problem with his/her room and was unable to find one: “I am very very hesitant and obserevent (sic) of how clean my room is, and often have complained in the past regarding stains, spills, smells...I looked and searched and didnt (sic) find anything wrong with this room." There were some complaints about the Best Western Plus Brampton and many of them focused on either the breakfast or the staff. Several guests indicated that they didn't like the breakfast due to the selection that was offered and/or the quality of the food/drinks. One guest said "the breakfast wasn't as good as it could have been" and described food that was not freshly prepared. He said that "boiled eggs" came out of the fridge and "the juices were warm." Multiple guests also mentioned that when items started to deplete, there was no one there to replace them. Lastly, many guests indicated that they thought that the breakfast seating area was limited or as one guest put it, there "never seemed to be enough room." The staff at the hotel also received several complaints and few compliments relative to other Best Western Plus hotels. One guest thought that an agent at the front desk "was in a bad mood" and another guest felt that the hotel had "no concept of service." These were not isolated complaints and another guest who actually seemed happy with other aspects of the hotel said that the "front desk was a horrible experience." 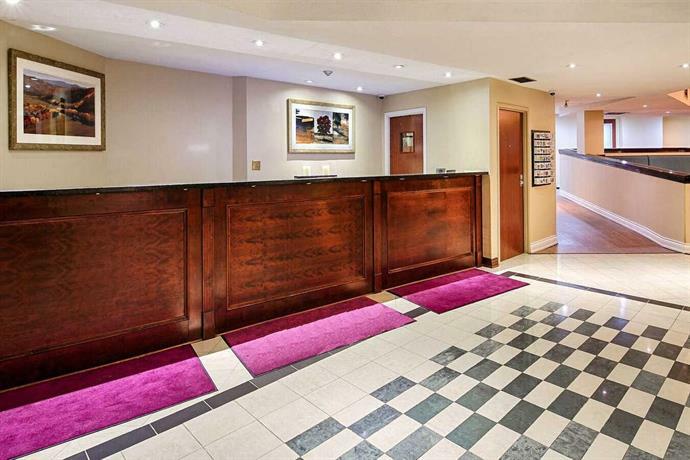 Expedia.ca guest ratings averaged to 4.0 points out of 5 and 89% recommended the hotel. Booking.com guest ratings averaged to 7.5 points out of 10 and the site had 6 reviews. Hotels.com guest ratings averaged to 3.8 points out of 5 and the site had 134 reviews. Front Desk Agent: no restaurant at the hotel, no elevator, fridges in all rooms, and microwaves only in some rooms; also restaurants are near the hotel and a microwave is in the lobby. 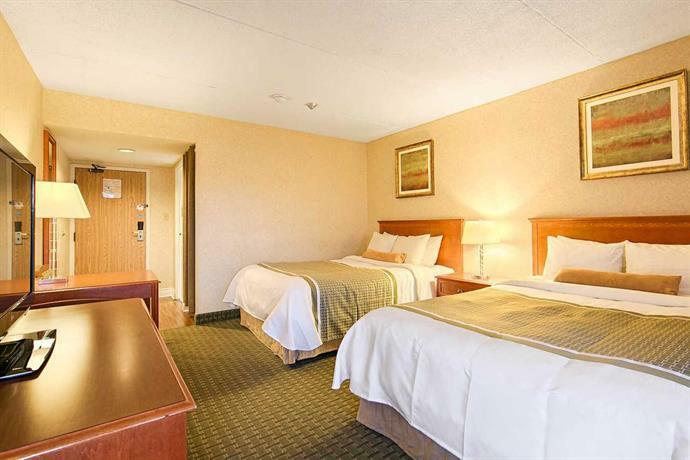 The average guest rating for Quality Inn & Suites Brampton is 7.6 out of 10 based on 2270 reviews from past guests. 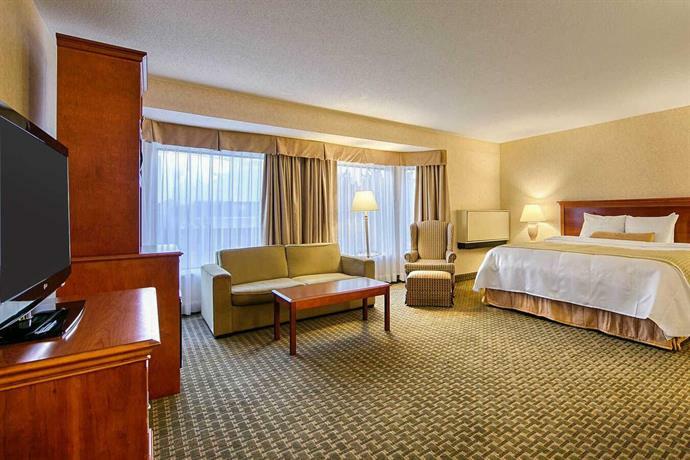 This average guest rating ranks Quality Inn & Suites Brampton at #6 out of 10 hotels in Brampton.